When new students arrive on campus, they get a hero’s welcome. 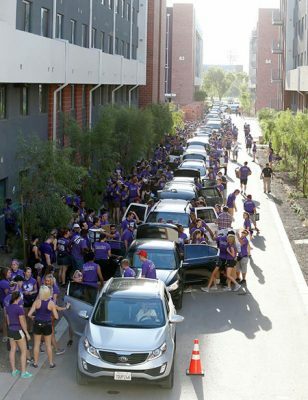 To many at Grand Canyon University, it is the best week of the year on campus. The line of volunteers is as long as the line of cars. This year, more than 1,600 volunteers have signed up. They like seeing the residence halls and walkways come alive with the return of students and take even more joy out of watching parent after parent fight back tears as they see the roaring reception their son or daughter gets just for showing up. 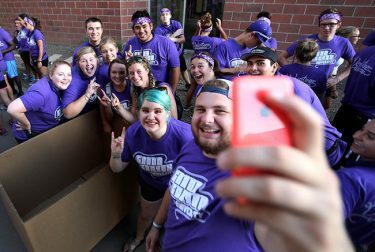 But this year, Welcome Week — scheduled for Aug. 22-28 — is going to be even more welcoming. If that’s possible. 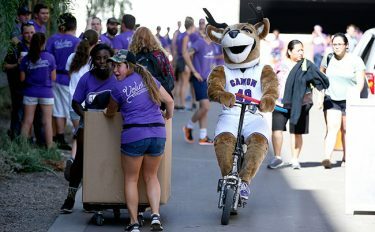 GCU’s annual rite of passage, which turns many an apprehensive teenager into a feeling-right-at-home college student, will include still more ways for even the most introverted freshman to quickly feel connected. Several new programs are planned, all with the aim of enhancing the community atmosphere on campus even more and easing the college transition for freshmen. There will be tons of activities and some extremely forward-thinking measures designed to prevent any semblance of boredom. Students can check the Welcome Week app to find out everything they need to know, and you can click here for the Welcome Week website. The schedule of the week’s highlights is listed below. Foremost among the new programs is the First 72 Experience, conceived by Residence Life and Spiritual Life. Previous Welcome Weeks had plenty of activities for freshmen, but the new schedule will fill in any possible down times and, through even more socials and orientations, will give them even more chances to turn strangers into new friends. “The first three days on a college campus are some of the most formative days that a student has and are the biggest chance to solidify their commitment to the university,” said Charity Norman, new student and family programs manager. Students have a ball at Canyon Cooldown. Each freshman residence hall will have its own Find Your Classroom Tour and Campus Dining Tour by day and After Dark Options by night. There also will be more socials than ever this year, divided into separate events for students who are from out of state or another country, are commuters or transfers, or are the first in their family to attend college. The first two nights of the week will feature holdover events for everyone on campus. Canyon Cooldown, scheduled for Monday night, will be bigger than ever in its new home at The Grove residence halls. It’s a pool party completed with shaved ice, blowup slides and a zipline. 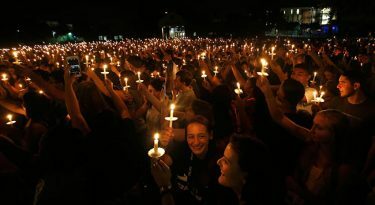 Tuesday features the always moving New Student Worship in the Arena, followed by the Ignite ceremony on the Quad lawn, where one lit candle turns into thousands. The Ignite ceremony is always a heartwarming scene. WEDNESDAY: Kickstart, which was soft-launched last semester, brings together a randomly chosen group of freshmen with an orange-hatted leader who will do ice-breakers, find out more about the students and help them learn how to use Loud Cloud, understand more about the campus and take care of required tasks, such as getting a parking pass. Freshmen will continue to be part of their Kickstart group until they no longer feel that it’s necessary (they still will have Resident Advisers and Life Leaders). “It’s especially beneficial for commuter students because they don’t have as much of a natural connection to campus,” Norman said. THURSDAY: Lope-A-Palooza, organized by the Havocs student cheering section and the Canyon Activities Board, will show freshmen what it’s like to be a Lope — the cheers at sports events, the fight song, big events coming up, etc. “It will have a Midnight Madness feel,” said Norman, referring to the annual mid-October celebration that kicks off basketball practice. 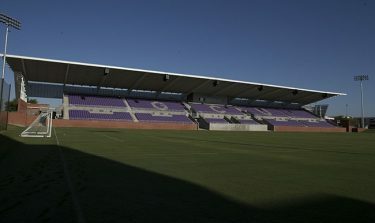 GCU Stadium is set to open on Friday, Aug. 26, when the men’s soccer team will play Central Florida. FRIDAY: GCU Stadium hosts its first major event, a men’s soccer match against Central Florida. 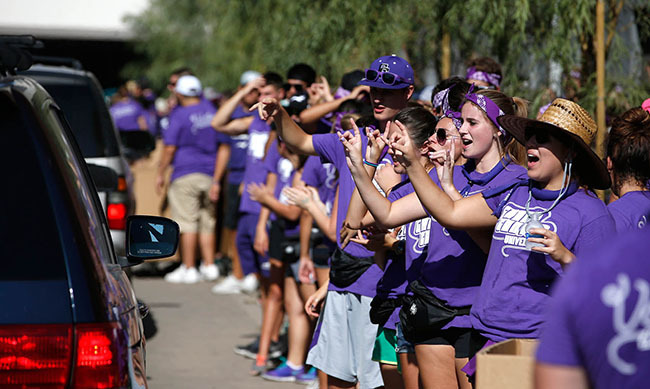 The festivities begin with the March to the Match, in which students gather behind Thunder, GCU’s beloved mascot, and the Thundering Heard Pep Band on Lopes Way and then march through campus to the stadium. The match will be a sold-out cacophony of sound and fury in the stadium, which features grass berms on three sides and figures to set a standard for the what atmosphere at a college soccer match should look and sound like. SATURDAY: This is the coolest event of all. For the first time, a very different type of scavenger hunt called The Ultimate LopeVenture will keep students busy for as long as they’d like (up to 12 hours). The more they do, the better their chances of winning some great prizes, such as a GoPro, new headphones or new speakers. It’s the brainchild of Chad Schlundt, outdoor recreation coordinator, and here’s how it works. Teams of 3-6 students are given a huge checklist of things to do, each with a point value. They could be landmarks or tasks on campus, they could be somewhere in the Valley, they even could be somewhere in the state. The more distant or difficult the task, the greater the point value. While volunteers give arriving students a lift, Thunder just scoots. But it’s not as simple as just finding something. One task, for example, could be to perform an act of kindness for a homeless person and post a photo on social media. “We’re hoping it becomes a new GCU tradition,” Norman said. “This one is really different because it’s not something that’s programmed for you. You get the list in advance and you don’t have time to do it all, so you have to choose which ones you’re going to do. It helps to build that team community right away. As if all that wasn’t enough, there’s a Saturday night concert at the Arena featuring Christian rapper Lecrae, and the women’s soccer team’s home opener is Sunday afternoon against UTEP. All of those activities will make it yet again a week to remember, but it all starts with that crazy Express Move-In scene each morning as teams from among the 1,600 volunteers, both students and staff, see how fast they can get each vehicle unloaded. It usually doesn’t take more than a couple of minutes per car. There’s time for fun — and selfies — between trips up the stairs. It will continue to be heard all week. This is more than just a big welcome, it’s a big celebration — and it’s ready to come alive again. ● Here’s a video of what Welcome Week was like last year.